Jesus is Coming Back Tomorrow at 4:30 pm, Pack a Bag! 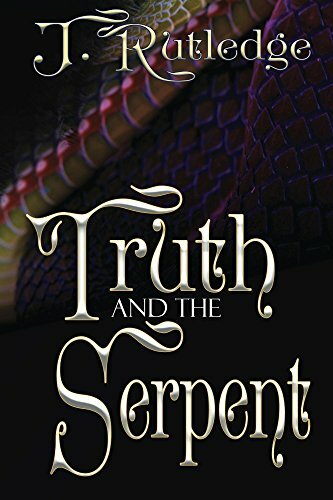 Truth and The Serpent explores an alternate creation story that follows the serpent from the Garden of Eden. What were some themes that you felt were important to highlight in this story? Once I decided to write this story, I immediately determined that I wanted it to be different in some way. If it’s the same old thing then why write it at all. Honestly, I didn’t know if that was even possible, as these stories have been overdone so many times. The major theme of the story is true versus untrue or consistent versus inconsistent, unlike every other story you hear of about religion. Where God/ religion is all fake and the explanation is aliens, monkeys, and sun worship. Or its all real, and Jesus is coming back tomorrow at 4:30 pm, pack a bag! The issue with stories dealing with religion is that they are usually examined through the scope of morality. But morality is not a constant, which changes with culture and time. So, as I was developing the Serpent character I searched to find something to argue other than morality, which is based on perception, and not facts. I decided that even though there were may inconsistencies in these stories there was information within them, that was consistent or true for everyone. Then I realized that that was a good discussion to have, and one that I had never heard of with these stories. Thus the Serpent would argue consistent information, and the Man of the Present, would represent our everyday biased understanding of these stories. The discussion and theme soon changed from morality, to the impact that these stories have had on culture and society. This is why the Serpent does not debate the existence of God, or Heaven or Hell, because it’s irrelevant. As culture and society deem which acts are “wrong” and which acts are “forgivable.” Once I removed that from the narrative, I could then be honest with the Serpent Character. 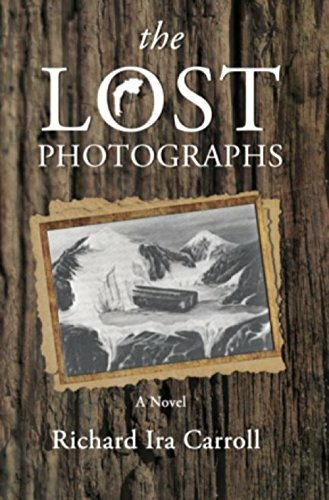 I felt that there were a lot of great twists and turns throughout the novel. Did you plan this before writing the novel, or did the twists present themselves to you as you writing? To me most of it was not a twist, but merely a change of perspective. One thing to note, is that every time we are told these stories, we subconsciously put ourselves on the side of the “good narrative” or the “victim/ saved narrative.” By doing so we only see certain things. For example, while writing the chapter “The Earth” which covers Noah/ the flood. Once the flood came I instantly put the Serpent inside the Ark, because that’s just what our minds do. I came up with a scenario that the Serpent was camouflaged hiding in the haystacks, which I’m glad I didn’t go with. But then it hit me, why does the serpent have to be inside? The Serpent is a reptile, there are sea snakes, Sea Serpents of legend even… what would happen if I put the Serpent outside. I did, and then everything opened up. My mind began to explore this world in a way I had never done before. I soon found that the Serpent was the perfect vehicle to do this with, as putting him outside would not affect our opinion of him, while the same couldn’t be done with the human characters. It was difficult to navigate these stories from this perspective, but once I separated my ego from the subject, I was able to write the story. I felt that the biblical aspects in this novel were expertly used. What kind of research did you do for this story? One I read the bible for myself. Second, I removed my ego from the equation. Writing this book was not about me, it is at its core a talking animal story that takes place in the what if universe. That is, in itself, about as fictitiously fantastical fake as you can get. However, once I started reading for myself, I quickly saw how inconsistent the biblical stories were. Then on top of that, there is the commercial understanding that we have been taught and sold. One thing to note, is that Christianity does not own these stories, and they exist in many other cultures and beliefs. For that matter this could very well be Muslim Fiction, Jewish Fiction, or Zoroastrian fiction. We live in a western world, so that is our first thought, but these stories have existed long before there ever was a Christian church. Additionally, this story is not about religion, it is a story of humanity as seen through the eyes of the Serpent character. Then, once I got started I didn’t limit myself to the bible. As you will note I make references to spirituality, mythology, history, science, and math. I researched and looked up everything, not just say Noah’s Ark the tale, but what Noah’s name meant. I looked up what causes a flood, what happens to flood waters, how does it impact species and topsoil and later plant growth. I viewed the events not as only divine wrath, but in natural real terms. i.e. the animals going to the Ark, is explained as animals changing their migrations. Then I asked, what could cause a change in animal migrations and so on. I then added these definitions to the biblical story, which then added new depth and meaning. I would say that I had about 100 pages of printed notes for each chapter. I looked up everything trying to find something tangible and meaningful beyond the everyday wrath, salvation, and lightshow. Once I did that, the stories came alive and were now three dimensional, taking on new meanings that I didn’t see coming. But none of that would have been possible if I didn’t research meticulously. Most of all, I didn’t just ask questions, I sought out rational answers as if, I was actually having this epic discussion. So, in a way, it was me asking the questions that I never got an answer to, and using the “absurd Serpent in the what if universe” as a platform to have this discussion, which somehow worked. Next is Serpent book 2. It will be the Serpent and another human character who live during the time of Jesus. The Serpent will be his obnoxiously colorful self, adding sarcastic commentary to the events as they unfold. It has a title, but I’m not releasing it until I finish writing it. I have notes started and have started planning out the chapters, but I have not begun writing the dialogue and narrative. Hopefully, I will start officially on it January 2018.